Is it your dream to own a beautiful home surrounded by a beautiful landscape? How much are you willing to pay for it? If you have a limited budget, you can still get an elegant living space for you and your family. This is possible with residential developments such as the Westwood Mansions. Located at the heart of Tanza, Cavite, the Westwood Mansions is strategically located in an area where you have easy and fast access to your basic needs. It is another affordable project offered by Filinvest Land. Master-planned by Filinvest Land, this residential development lives up to the excellent track record of the company. Filinvest Land, Inc. (FLI), a subsidiary of the Filinvest Development Corporation (FDC), is one of the leaders in estate development in the Philippines. FLI’s operation is centered on the development and sale of middle-market residential properties. Their main customers have been the lower and middle-income Filipinos. In recent years, the company has expanded into developing high-end and themed residential projects that come with great facilities and amenities. Over the years, they have developed more than 2,400 hectares of land, providing homes to over 150,000 families. This makes FLI one of the biggest home providers in the country today. The Westwood Mansions is one of the affordable housing projects of FLI that comes with first-rate features, facilities and amenities. It is a townhouse community nestled in the scenic town of Tanza, Cavite. To serve the needs of the residents, this development project also features a commercial area. If you are looking for a serene yet vibrant environment to raise your family, the Westwood Mansions is a good choice. It boasts of wide open spaces, paved roads, pocket parks, landscaped gardens and Sports and Country Club among others. Water features are also abundant in this place, creating a cooler and tranquil ambiance. You will not typically get these perks in many affordable housing development projects in the city, but Filinvest is able to deliver. Windsor – The typical lot cut is 43 sqm with a livable floor area of about 47 sqm. This two-storey townhouse has 2 bedrooms, 1 toilet and bath, with spacious living, dining and kitchen areas. 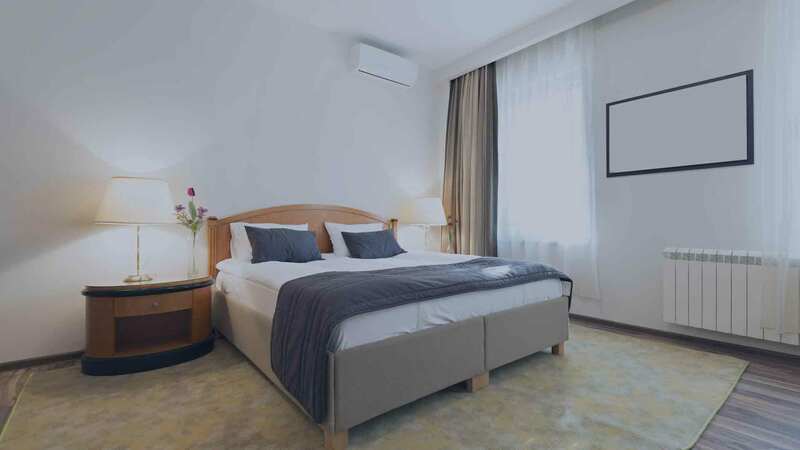 Winchester – The Winchester is another affordable unit which typically costs less than P1M. Its lot area is about 43.20 sqm with a livable floor area of 39 sqm. This two-story townhome comes with two bedrooms, 1 toilet and bath, and a dedicated area for living, dining and kitchen. The selling price of the Westwood Mansions townhouses is around P800,000 to P1,100,000 with flexible payment terms. This makes it affordable to many Filipinos who are looking for a decent and elegant place to call their home. The available townhouses at the Westwood mansions are ideal for those who are still starting a family and even those with one or two grown-up kids. Each unit is well-planned so that every space is maximized. The living and dining areas are made spacious as these are the commonly high-trafficked areas in many homes. The units are also delivered with painted exterior. Aside from the beautifully designed townhouses, the Westwood Mansions offer a safe and secure place for the unit owners. Surrounded with a high fence, your entry and exit points to the community is through the grand entrance gate with guards operating 24/7. This helps keep the community relatively peaceful. A home is a place where you can relax and spend quality time with your family. It should also be a place you are always looking forward to going home every day. At the Westwood Mansions, you can live to these expectations. With the facilities, amenities and well-designed homes inside the community, you’ll be able to enjoy a quiet, safe and comfortable living space after a busy day. It is a family-friendly community where your kids can safely play outdoors. It is a community where you can meet friendly neighbors, jog around in the morning, and enjoy a tranquil life after work. Filinvest Westwood Mansions in Cavite, Philippines is a premier House & Lot project available for sale. If you're looking to rent or purchase Westwood Mansions, then check here first. We have full details of Westwood Mansions updated regularly as well as everything you need to know about the availing and booking process, broken down into stages that includes selecting a unit, choosing a payment plan and buying your dream home at the right price. For price list, free site tripping or showroom visit, personalized service, model house, unit plans, floor plans, payment terms, CHAT LIVE with an agent 24x7. We are Remax Perfect Homes. Always only buy from PRC licensed Real Estate Brokers and Agents. The town of Tanza is not only a great place to live; it is also the best location to indulge in business. The town is surrounded by Cavite’s other rich towns and cities, such as Trece Martires, General Trias and Naic. The area is conducive to any kind of business and investment, mostly retail, educational institution, dining and real estate. The town was declared as one of the most competitive towns in economic dynamism in the entire CALABARZON region. The Cities and Municipalities Competitive Index (CMCI) ranked the town of Tanza as the 22nd in the field, this signifies a great potential for the town to become one of the fastest growing economies in the province. The town is hosts to several public educational institutions (32 day care centers at the moment, the largest in the region) being managed by the local MSWD. This is aside from being hosts to more than 50 primary public and private schools, more than 15 secondary and a dozen tertiary educational institutions, serving a population of almost a quarter of a million people. In 2014 the town registered an annual income of more than PHP369 million, the 16th highest in the country (municipal level). The amount is almost 16% higher than the previous year (2013) and almost 18% higher than in 2012. The town’s income mostly came from real estate taxes, educational institutions, commercial establishments, trading, agriculture and others. The high rating of the town in income revenue typifies a stable and sustainable economy. Investing in Westwood Mansions is therefore highly recommended. The town seldom experience flooding and harsh typhoons unlike other parts of the province of Cavite. The town experiences mild climate throughout the year, with an average temperature of 23-33 degree Celsius. Investing in the town’s residential area is truly a smart choice.